A United Reformed Church is being planted in Somerset County, Maryland, where American Presbyterianism first took root. Somerset Reformed Fellowship meets in Princess Anne, MD, under the supervision of Pompton Plains (NJ) Reformed Bible Church. Although the group hopes to soon lease Grace Episcopal Church, most recent meetings have been in Manokin Presbyterian Church—one of several churches organized in the 1660s by Scottish Presbyterian missionary Francis Makemie, known as the Father of American Presbyterianism. Somerset County is located on the southern part of Maryland’s “Eastern Shore,” the nine counties lying along the east side of Chesapeake Bay. A history of Manokin Presbyterian Church, written in 1910, relates that many people who settled the area as early as 1666 were Calvinists. While a fair number of residents are aware of local Presbyterian history, few are familiar with Reformed theology. Church planter Ruben Sernas hopes to spread the word and the Word, by helping the budding congregation become firmly rooted. Rev. 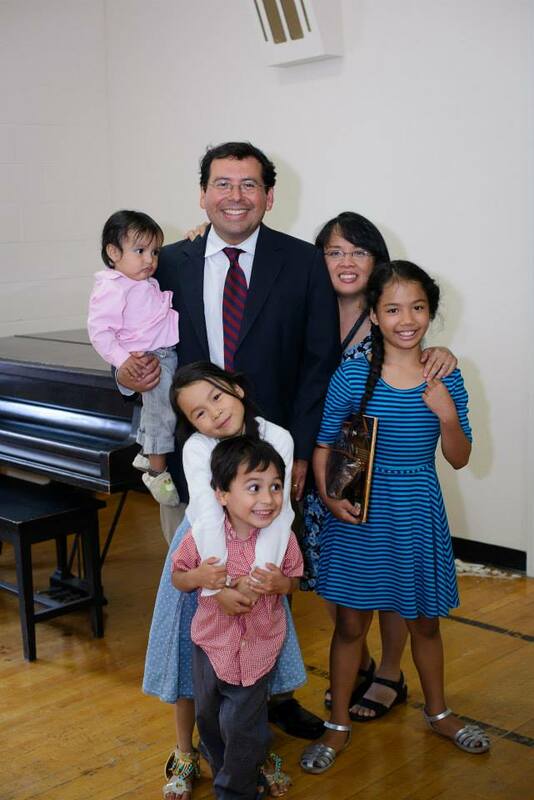 Sernas served the Spanish language ministry of Ontario URC in California until Pompton Plains RBC called him as a home missionary to plant the Somerset church. 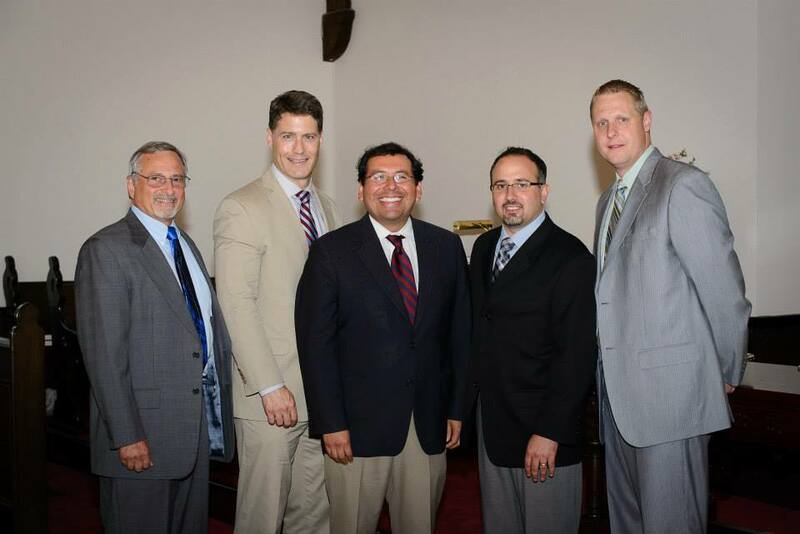 Several Classis Eastern US ministers participated in the installation service on June 13, 2014. Rev. Rich Kuiken opened the service, Rev. Steve Arrick preached the sermon, Rev. Bill Boekestein read the formulary, Rev. Paul Murphy exhorted the minister, and Rev. Sam Perez exhorted the congregation. On June 22, a welcome service at Manokin Presbyterian Church introduced Rev. Sernas and his family to people in the Princess Anne area. Rev. Roberto Rossi officiated, and Rev. Brian Lee preached. 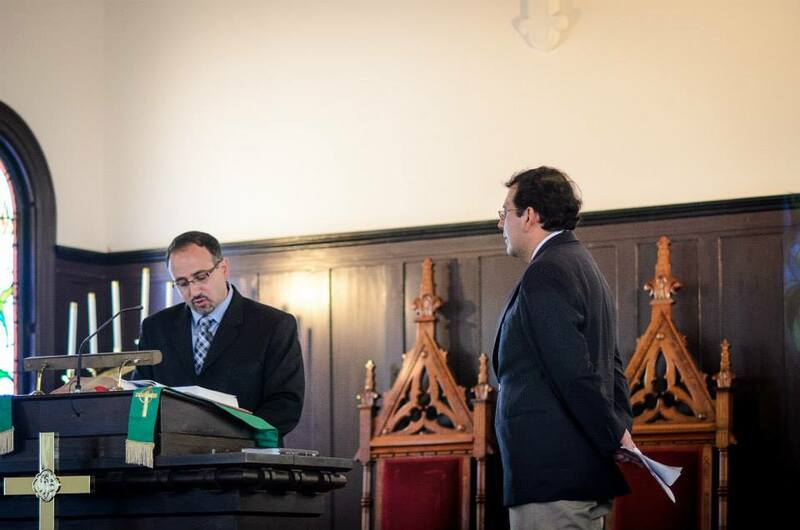 Deacon Gus Mongiello read the Old Testament passage, and Elder Brian Okken read the New Testament passage. The over 60 attendees included local clergy, supporters, as well as potential members and visitors. The Council of Pompton Plains RBC has appointed a team to oversee the work. 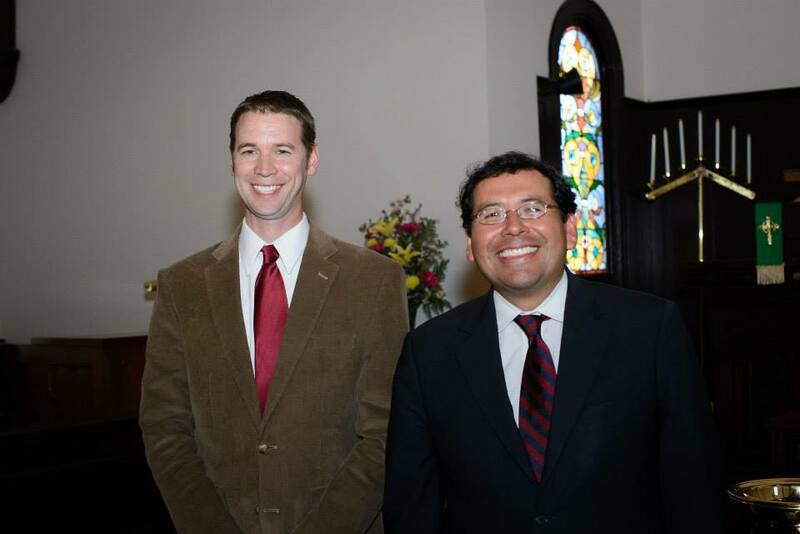 The Somerset Reformed Fellowship ministry team consists of Rev. Sernas, Rev. Rossi, Elder Brain Okken, and Deacon Gus Mongiello. Rev. Sernas and the team work closely with Jason Punches and James Deck, who have been heavily involved with the Somerset group for all or most of its existence. Rev. Rossi explains that supervising consistory hopes to maintain close contact despite the distance between Pompton Plains, NJ, and Princess Anne, MD (about 250 miles). “In a technological age, communication at a distance is relatively easy,” he says. “We are hoping to have monthly meetings via Skype or conference call in order to discuss pastoral/financial concerns and to encourage Pastor Ruben as he labors in the ministry.” The plan includes sending groups of elders and deacons to the church plant on a quarterly basis. Somerset Reformed Fellowship began when 34 people met in the home of James & Lois Deck in March of 2011. The following Sunday, a few of these people prayed in the parking lot of Grace Episcopal Church, specifically that the building would become available for the group. At the time of this writing, details to lease the building were being finalized. That spring between 20 and 30 people regularly met, and the group adopted the name Somerset Reformed Fellowship. They began meeting on Sundays evenings at Manokin Presbyterian Church in July of 2011. But the group became smaller and smaller until only four people heard Rev. Brian Lee preach in November, 2011. The tiny group persevered with regular gatherings at different venues and gradually grew. It explored affiliation options by inviting different ministers to preach on Sunday evenings or speak at weekday White Horse Inn discussion groups. One of those ministers was Pastor Sernas, with whom the group developed a close relationship. Pastor Rossi explains that when the Church Planting Committee of Classis Eastern US asked Pompton Plains RBC to oversee the new church plant, the Somerset group asked Pompton Plains to consider Rev. Sernas. The Sernas family moved to Princess Anne in May. Pastor Ruben and Leah have four children and expected another at the time of this writing. This past summer, about 20 people met with Somerset Reformed Fellowship at a United Methodist Church on Sunday mornings in June. Up to 40 or more gathered at Manokin Presbyterian on Sunday evenings. The group has been preparing to meet at Grace Episcopal Church, when it hopes to begin two services. Until a lease can be finalized, the congregation continues with the Sunday evening service and a weekly prayer meeting. The White Horse Inn discussion group will begin again in the fall. The above article by Glenda Mathes appeared on pages 14 & 15 of the August 27, 2014, issue of Christian Renewal.